Marijuana is a name adopted from Mexicans, who introduced the the well-known cannabis sativa flower buds to the United States in the early 20th century. From the Hindi language, it is also called ganja. Asian in origin, it was probably introduced to America by early European settlers. People have been using cannabis since prehistory, as food, medicine, and a source of fiber, but only recently has its use grown to include recreational and spiritual use as well. In today’s terminology, ‘marijuana’ only describes the flowers of the plant which contain the drug it is known for, and shouldn’t be used to describe all forms of cannabis. Today the term marijuana applies specifically to cannabis that is bred and used for medicinal or recreational drugs. Cannabis produces marijuana, but has many other values as well (see industrial hemp). The principal ingredient in marijuana that causes a ‘high’ is the compound delta-9-tetrahydrocannabinol (or THC). It is psychotherapeutic, which helps to relieve pain, anxiety, fear and other discomforts. Its effects can also help to control muscle spasms and other involuntary movements. Another chemical (CBT) causes a related feeling, but must be proportionate to THC to achieve the appropriate effects (which is why hemp doesn’t work as a drug). The benefits and effects of marijuana ultimately depends on the strain, potency, the user, and how it’s taken. The chemical drugs produced by the flower are suspected to be the plant’s natural defense from insects and other animals (similar to nicotine in tobacco). These chemicals are mostly found on the flower buds, appearing to be like little crystals or hairs (it is actually more like a sticky resin). Though because humans have cultivated cannabis for millenniums, the way the plant produces these chemicals have changed – namely, to suit human interests. Today, marijuana is often grown to produce a higher potency than it’s ruderalis cousin. This is typically done by weeding-out male plants, because the longer female plants remain un-pollinated and don’t produce seeds, a greater amount of the THC-infused resin is produced. This is often called ‘sensemilla’. 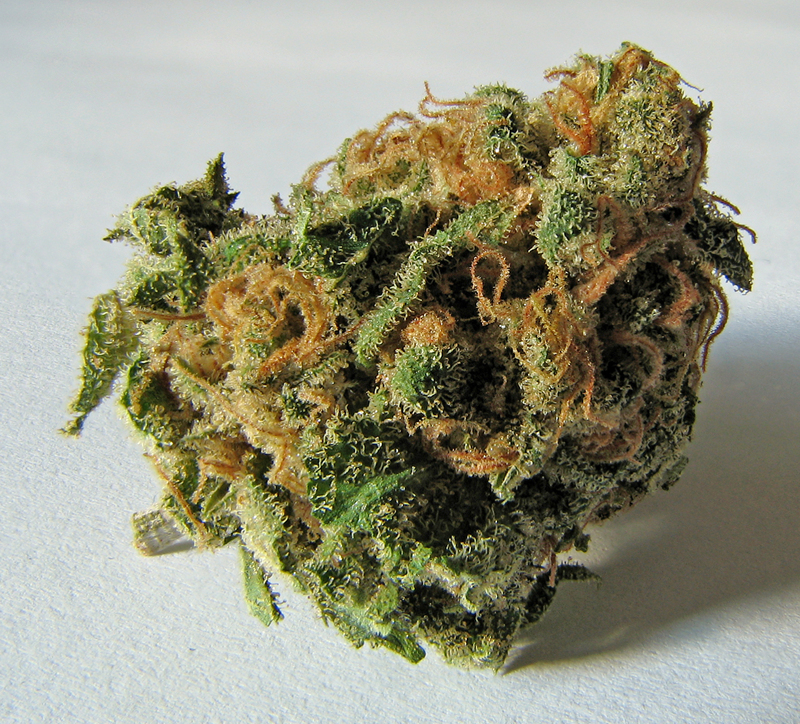 Marijuana is usually smoked, vaporized, or eaten. When inhaled (as opposed to ingesting) there is a limit to the effect, but in this way the effect is felt after a few minutes. The minimizes the chance of having too much. Despite conventional belief – marijuana is non-toxic, and non-intoxicating. It is psychoactive (like caffeine). But because THC doesn’t react with the brain-stem, it is impossible to overdose. No one has ever died from consuming marijuana. As with most drugs, the specific effects will vary depending on the physiology and condition of the user. The effects last for only a few hours. The desirable effects include relaxation, concentration, pain relief (and other medicinal needs), and increased sensuality. It’s few other side-effects are (generally speaking) temporary and benign, which may include dilation of blood vessels (causing red-eye), dry mouth, increased appetite, sleepiness, laughter, forgetfulness and temporary memory-lapse. Due to prohibition (in the U.S., which began only in the 1930s and was escalated into a drug-war in the 1970s), all forms of cannabis have been forcefully prohibited and anyone to possess them. Even in small quantities, many ordinary people who use marijuana suffer mandatory punishments (except in a few states). In some cases, people who are ‘busted’ are given mandatory lifetime sentences. Sometimes these punishments are greater than those for rapists and murderers. Sick and dying people, who are helped by marijuana, suffer the worst from the drug-war. Since 2007, 11 States have passed legislation to allow the medicinal use of marijuana to patients who get a prescription from their doctor. And in those states as well, the Drug Enforcement Administration overrides state law to enforce punishment against those who break federal law. People who are helped by and even need marijuana in order to live a functional life – who never committed a violent crime – are fined and imprisoned every year. In 2008, the annual rate of arrests for marijuana use exceed 100 per hour. This includes some cases that include patients in wheelchairs. Many argue that the only dangerous thing about marijuana is the laws. The drug-war brings harm to users by reducing people’s options to buying through the black market – sometimes in dangerous environments, and from people who aren’t regulated by food and drugs standards. There have been cases of pollution of substances, which has caused respiratory illnesses and other problems. People become involved in and become victims of violent crimes that profit from black market inflation. These things would never happen if people were allowed to grow their own. Law enforcement officials don’t necessarily endorse drug policies (see LEAP). And there is a lot of controversy surrounding this issue. But federal law classifies marijuana as a dangerous drug with no medicinal values – Schedule I drug (as bad as heroin and worse than cocaine) . And some laws may enforce the highest possible punishment for drug ‘crimes’. The least they can do is imprison them. Though this is quickly changing, many Americans today are unaware of the real nature of cannabis (including its industrial values) and many may also automatically assume that there’s something ‘bad’ about it. This is due to decades of propaganda, base-less and ignoring contradictory reports from doctors and scientists. Marijuana has been falsely accused of just about everything, from causing violence and insanity to death. Confused, people are today learning more about this issue. The so-called ‘War On Drugs‘ has even become an important feature of the 2008 presidential election. Most candidates are reluctant to say anything about this issue, usually for fear of being ridiculed or other political reasons. This year, medical marijuana patients and organizations made a strong effort to ask the candidates about their problem, which effectively brought the issue to the table. Several candidates spoke out in support or marijuana law reform. Dennis Kucinich, Mike Gravel, and Cris Dodd spoke-out about reforming marijuana laws, but Ron Paul is the only leading candidate who calls out to end the drug war entirely.